Today we’re happy to announce another tool that we hope you will get an immense amount of use from. 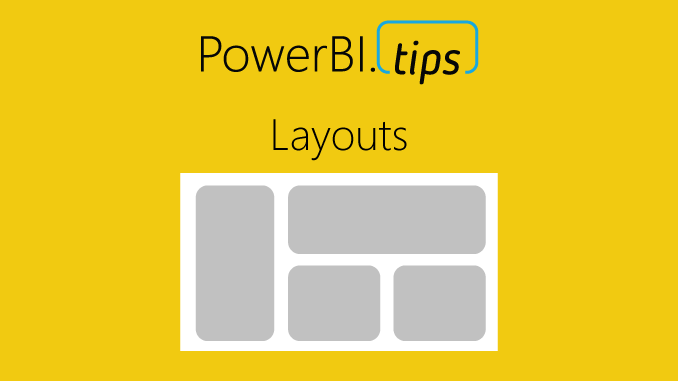 Layouts are Power BI Template (PBIT) files that will contain layouts with visualizations already in place and only require your data to light up. We have, and will be, using as many of the visualization techniques. We are taking some of the best layouts we’ve seen, and those we’ve developed to create these files for you. This means that you don’t have to spend any time worrying about the vast number of design techniques. 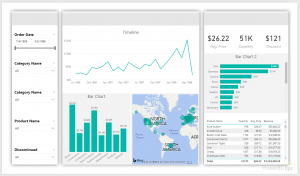 Additionally, it will save you time placing or moving things around on the report page. All that is required of you, is to download the PBIT file, load your data, and start selecting the pre-placed visualizations. With each layout template there will be a sample file (demo) that will show you the look and feel of each layout so you can easily choose the layout you want on each report page. You can always change the visual type with the click of a button. 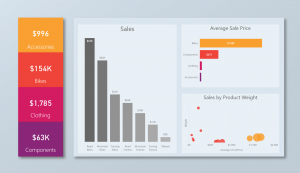 Today, we’re releasing the first of our efforts with a 3 tab layout focused on the business analyst. These layouts are designed with maximum flexibility in mind, to let you alter color themes, easily change the visualization type, and provide enough visualizations to give you a huge initial benefit. One of the best parts about the Layout is that you are not limited by our designs, they are just the starting point, you can fully customize them however you would like. We just provide you with a solid foundation to build from. In addition to the first analyst layout, we’re releasing an Info-graphic style layout that contains some deeper interactions using Bookmarks. However, these Layouts will be a bit more restrictive in terms of how much you can change visually. This is due to the need to rely more heavily on other tools to create the look & feel. Thus, you will have limits in just how much you can change. Our hope with these is to build more stunning report layouts that will maximize presentation, or help wow an audience. We are releasing layouts for the analyst, executives and still have some fun with highly stylized files. We hope you get as much use out of these new Layouts as we know we will! Over time, we will continue to develop and produce an entire library of the selections. Thanks to all of you who make this such a fun and great Community to be a part of. This is incredible and very useful. Is there a way to change the page layout itself for example from 3 Column Vertical to a 4 column vertical? You can customize the layout any way you want, however, because there is a background image you are limited to just the 3 vertical columns. 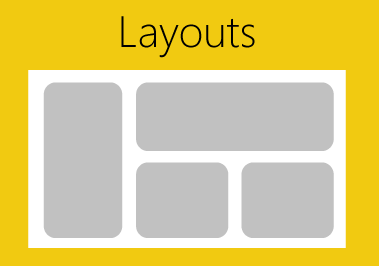 We are working on additional layouts that will include a 4 column vertical. Stay tuned. and I know I can adjust them but I need other visual elements (preferably with the drag and drop data feature) to be included in our layout. Hi Austin, Which layout are you using? Is it the background that you are asking about, or the interactions we’ve built into some of them using bookmarks? All the components are configurable in the template you can download, and you could extend that and save a different template from that, but I assume you want to either build in additional interactions or some visual elements. Can you provide a bit more detail of which specific aspect of the layouts you are referring to? Is there not a way to incorporate one of your layouts into an existing .pbix ? Do i have to start over from scratch? I’ve got a lot of DAX measures and columns and that would be a real pain.